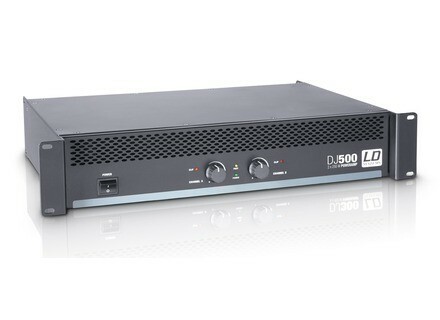 DJ 500, Dual-Channel Power Amp from LD Systems in the DJ series. LD Systems launches a new series of affordable 2 channel power amplifiers for DJs, small bands and solo musicians. The LD DJ Series features three models of 2x150W (DJ300), 2x250W (DJ500) and 2x400W (DJ800) at 8 Ohms, which frequency responses range from 20Hz to 20kHz. The three A/B power amplifiers are equipped with protection circuits (short-circuit, overheating, over-current, DC, soft start…), power-on delay and fans. The DJ PA amplifiers offer XLR and TRS inputs, Speakon and screw terminals speaker outputs. You’ll also find on the back Bridge and Ground Lift switches. The front panels feature two knurled volume knobs, status LED and the on/off switch. All the models can be racked on 2U. Discover the LD DJ Series at www.ld-systems.com. PreSonus SL Room Control for StudioLive AI PA PreSonus announces the availability for the SL Room Control remote control software for the StudioLive AI powered speakers. Alcons Audio officially introduces the LR24 After touring in trade shows, the Alcons Audio LR24 three way line source is finally introduced with more details. New RCF ART 745-A amplified loudspeaker RCF introduces a new full range amplified loudspeaker for medium and larger venues, the ART 745-A.